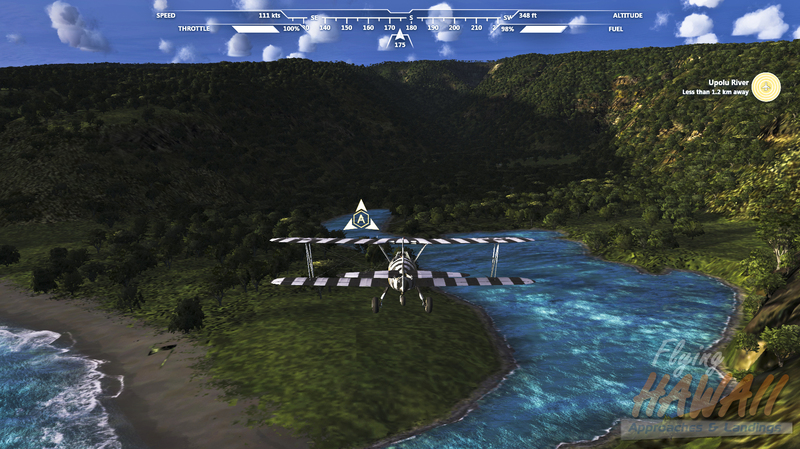 The first add-on for Microsoft Flight. 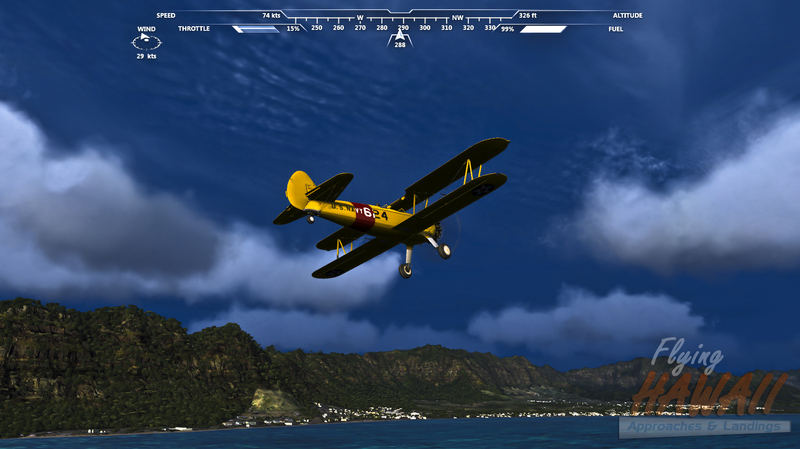 Product includes 133 pre-saved flight to simulate real approach plates to all Hawaiian's Airports and scenic adventures. 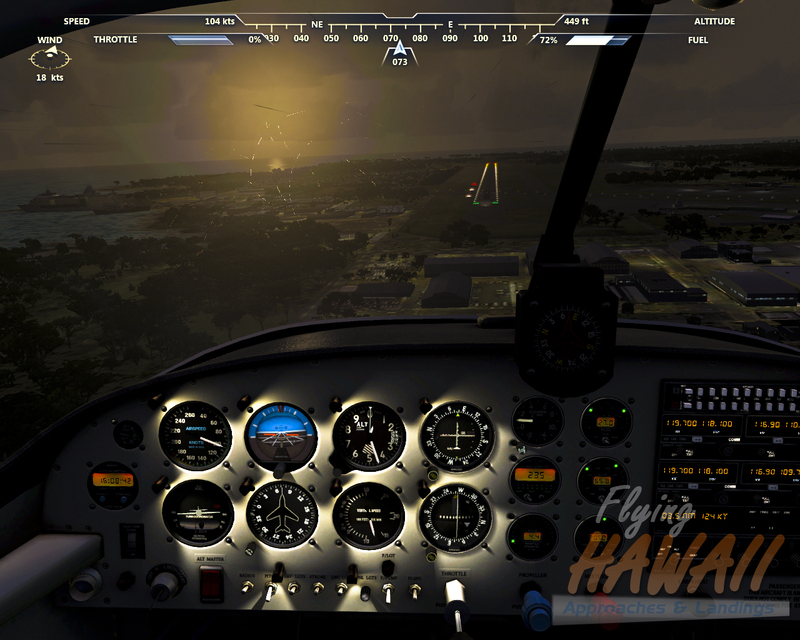 Flyiing Hawaii - Approaches & Landigs offers you the possibility to explore all Hawaiian's beauty in a exciting flight experience. All pre-saved flights approaches and adventures uses different weather condition, time and season and you can easily modify and adjust any setting. Product also includes the Help Desk, a mini website (in html format) that gives you all needs information about Adventures, Approaches and Aerocaches. Here You will find useful information and detailed instructions for each flight or approach included in the package. 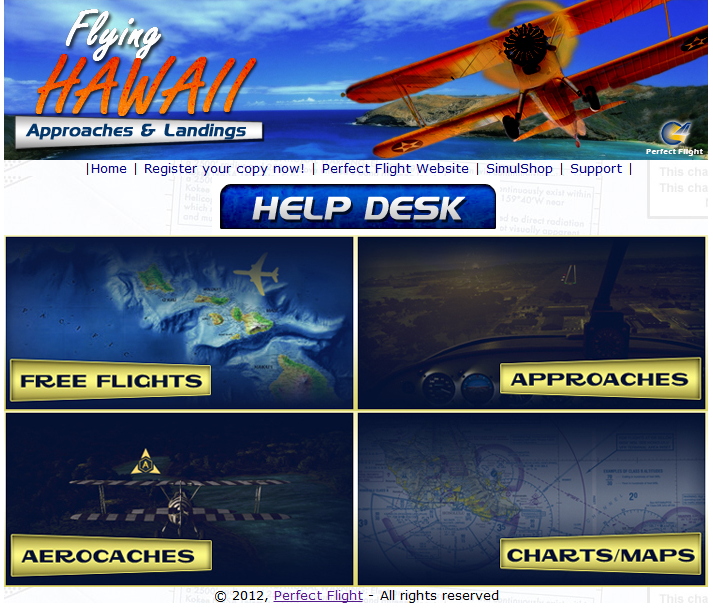 25 Scenic flights over major Hawaiian point of interest with detailed instructions. 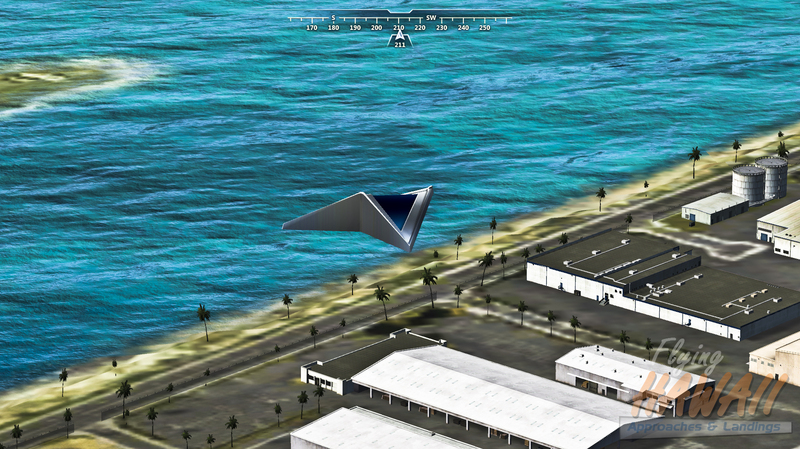 20 Decisive hints to achieve the most difficult Aerochache in Microsoft Flight. Each flight places your plane in the correct location, altitude and direction in order to obtain a certain Microsoft Flight Aerochache and help you to advance your career as a Microsoft Flight pilot. Help Desk. 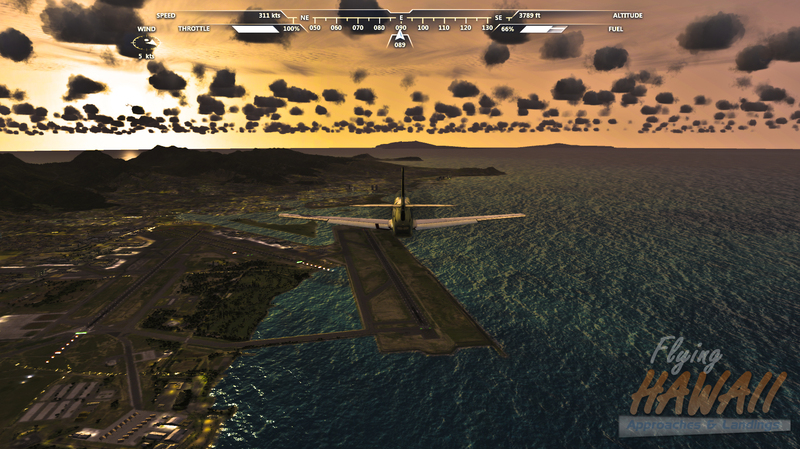 A mini website where you can find what you need to complete all flights included in the package. For each flight you have full access to detailed instructions, Airport information, map area end charts.